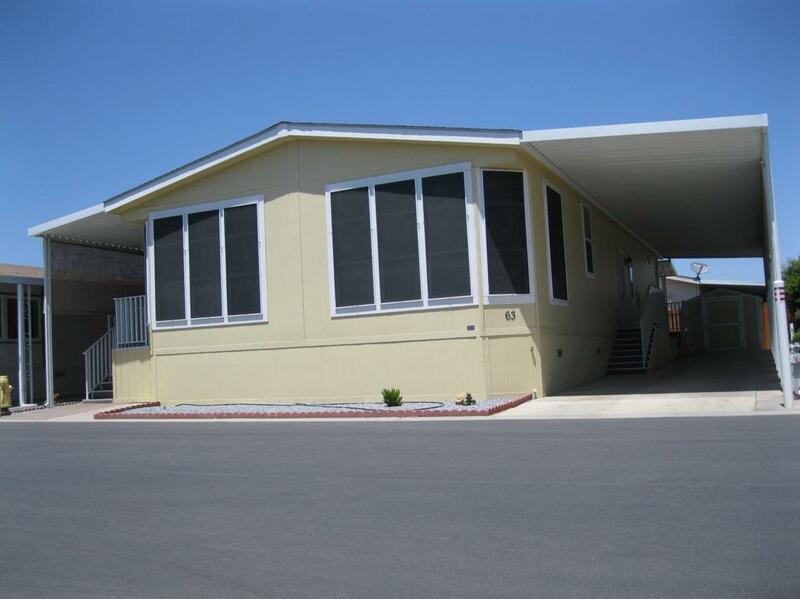 Gorgeous, newer, custom built mobile home in Tulare's Premier Senior Community. Very open living area features granite counter tops & stainless steel appliances that includes a farmhouse sink; large laundry area and a tuff shed. Listing provided courtesy of Karen Souza of Century 21 Jordan-Link & Co/Tulare.